Product prices and availability are accurate as of 2019-04-23 16:36:11 UTC and are subject to change. Any price and availability information displayed on http://www.amazon.com/ at the time of purchase will apply to the purchase of this product. 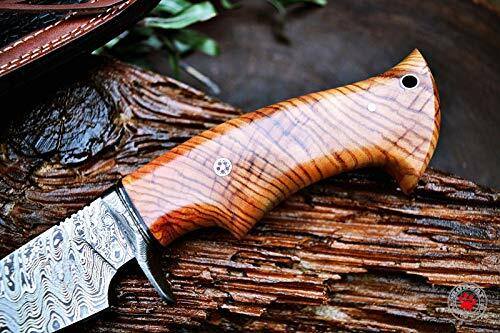 This knife will get any job done in the field. The classic look, ergonomic handle and ease-of-use design guarantee that you will come to rely upon it. 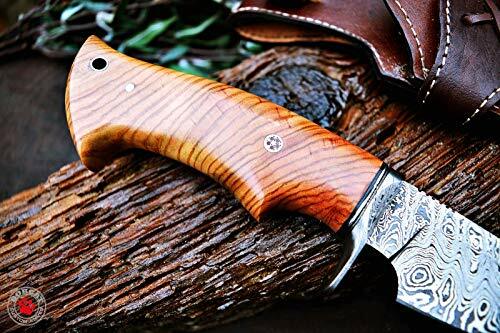 Damascus steel blade going all the way inside the handle without any joint or weld. This awesome knife is purpose built to perform for years and years. all the way to the edge of the blade, which creates a saw-blade effect at microscopic level, allowing the blade to keep cutting while other blades have dulled. Blade was given excellent heat treatment and possess very good edge holding and retention for relentless performance. 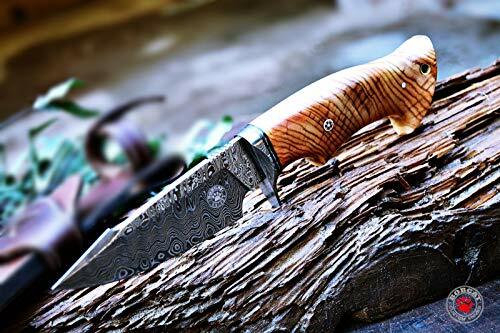 4.8'' inches blade has fantastic hand grinds on both sides. 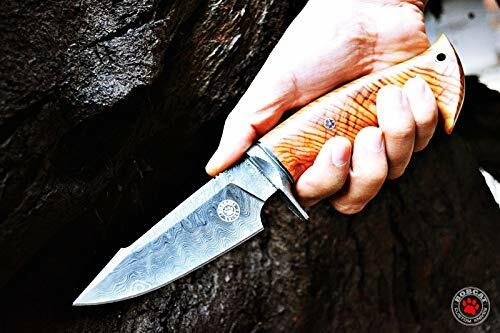 Overall length of this Knife is 10" and the length of the blade is 4.8'' inches.Blade thickness is 4.5mm approximately, weight of knife is 8.2 ounce or 235 grams. 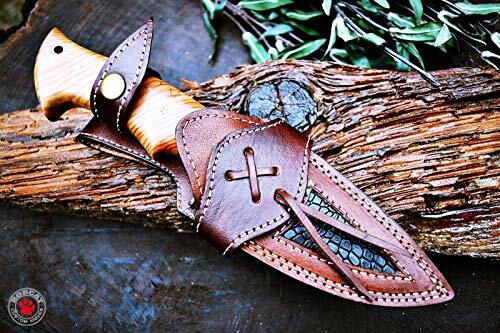 high-grade leather sheath with a snapping locking strap and leather belt loop is included. Knife comes with Certificate of Authenticity. Worth Every penny for sure!
? 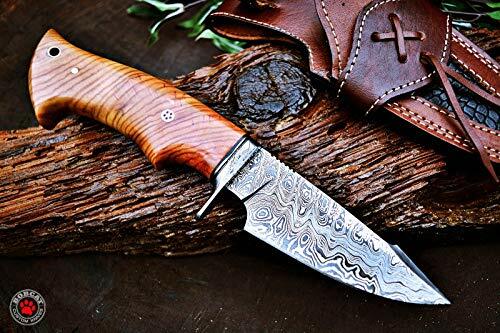 TRULY HAMMER FORGED DAMASCUS STEEL BLADE: Material used for forging 15N25 & 1080 and 288 layers of Damascus steel, Blade has excellent edge retention for lasting durability ? KNIFE DIMENSIONS: Overall length: 10"; Blade length: 4.80'' inches'; Handle length: 5.20" inches; Weight of Knife: 8.2 Ounce OR 235 grams ? ONE PIECE WOOD HANDLE: Classic design made of olive wood, provides comfortable grip and balance with Nicely Hand finished Damascus guard, non-slip grip to use ? GENUINE LEATHER SHEATH with SNAP FASTENER: High quality protective sheath with integrated belt loop for safe and secure carry with easy access ? APPLICABLE OCCASIONS: Suitable for various,hunting, camping, survival, tactical, military and outdoor situations.